Chief executive officer at oil and gas giant Total drives an electric car as his private vehicle. Total S.A. is a French international oil and gas refining company that is touted as the 4th largest in the world. However, the company also considers itself a major player in low-carbon emissions. While this may seem far-fetched, Total recently acquired startup utility Direct Energie as part of its continuing efforts to grow low-carbon generating assets. Currently, Total's wind, solar, and renewable assets account for five percent of its business, however, the goal is to drive that to 20 percent by 2035. In addition, Total S.A.’s lead energy analyst, Joel Couse, is more bullish than most others in the industry in regards to EV adoption predictions. He believes that electric vehicles will make up about 15 to 30 percent of the global new vehicle market by 2030. So, apparently, all this means that it's okay to drive an electric car if you're an oil exec, as long as you don't do it during business hours or for company-related work. It may also mean that electric cars are beginning to become more appealing. 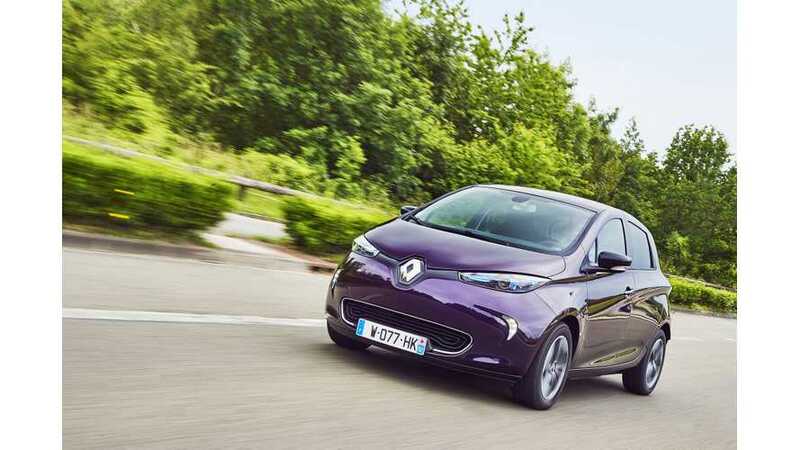 Total CEO Patrick Pouyanne recently admitted at an oil conference in Norway that he and his wife own an electric car manufactured by Renault. The car is all-electric, meaning it has no gas engine. He shared that they use the car every weekend, but not to travel long distances. He has a gas-powered company car for work use and trips. It's a 100 percent e-car. It's a nice Renault electric car. And I'm driving it every weekend. It's my private car. Of course I have my company car which is internal combustion. To make long distances I don't use an electric car. Pouyanne also revealed that Yngve Slyngstad -- the CEO of Norway's sovereign wealth fund, which owns a mere 1.79-percent stake in Total -- told him to "make the most of the 'magic of electricity'".